Mayhem’s main component is a malicious ELF (Executable and Linkable Format) library file that, after installation, downloads additional plug-ins and stores them in a hidden and encrypted file system. The plug-ins enable attackers to use the newly infected servers to attack and compromise additional sites. Researchers from independent research outfit Malware Must Die (MMD) reported earlier this week that Mayhem’s authors have added Shellshock exploits to the botnet’s arsenal. 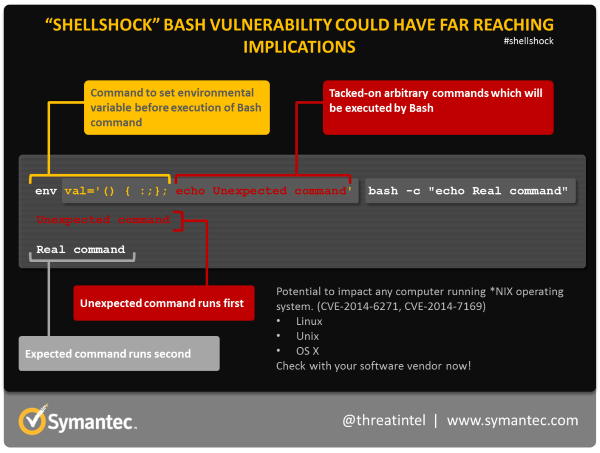 A Symantec infographic explaining how the Shellshock Bash shell vulnerability works. 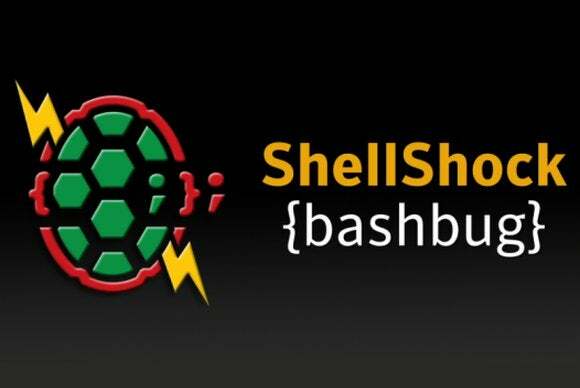 The Shellshock attacks originating from the Mayhem botnet target Web servers with CGI support. The bots probe Web servers to determine if they’re vulnerable to the Bash flaws and then exploit them to execute a Perl script, according to the MMD researchers. Like the previous version, it creates a hidden file system where it stores its additional components—plug-ins—that are used for various types of scanning and attacks against other servers. The MDL researchers suspect that one of those components has been updated to use the new Shellshock exploits, but haven’t confirmed it yet. Most Linux distributions have issued patches for the Shellshock vulnerabilities already, but many Web servers, especially self-managed ones, are not configured to deploy updates automatically. There are also many Linux-based enterprise products and embedded devices that include Web servers and are vulnerable to Shellshock. These can also be a target if patches for them haven’t been deployed or are not yet available.